Gav Thorpe is a writer, games developer and creative consultant who lives in Nottingham, England. 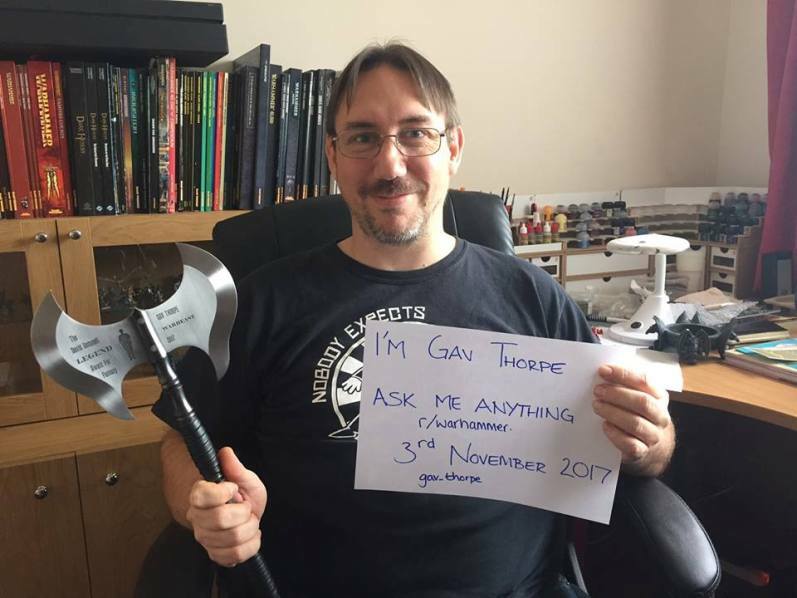 Gav, who designed his first wargame aged eight using Airfix plastic soldiers, is also a New York Times Bestselling author and winner of the 2017 David Gemmell Legend Award for Best Fantasy Novel. Gav has designed rules for miniatures and board games, written short stories, audio dramas and novels, and assisted in various capacities in the development and writing of tabletop and video games. He has also appeared on numerous discussion panels, and delivered writing workshops at literature and genre events. 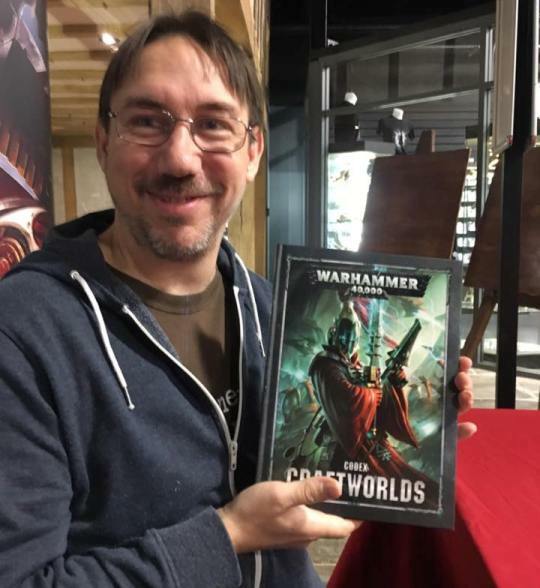 He started working for Games Workshop in 1993, where he spent fourteen years working in games development, on White Dwarf magazine and the Key Design Team, so he’s written a lot about the Warhammer and Warhammer 40,000 universes. He took part in almost every aspect of Games Workshop, from assistant game developer, to being in charge of the Warhammer Fantasy game system. He has also collaborated in the development and design of several editions of Warhammer 40,000, and as well as the creation of White Dwarf magazine articles. One of his last roles before leaving Games Workshop was the supervision over all the background of Games Workshop. In 1997, when Games Workshop launched a new fiction imprint called Black Library, he began his stage as a fiction writer with a short story entitled Birth of a Legend. His influence on the development of the Warhammer 40,000 background continues today with his work for the Black Library. 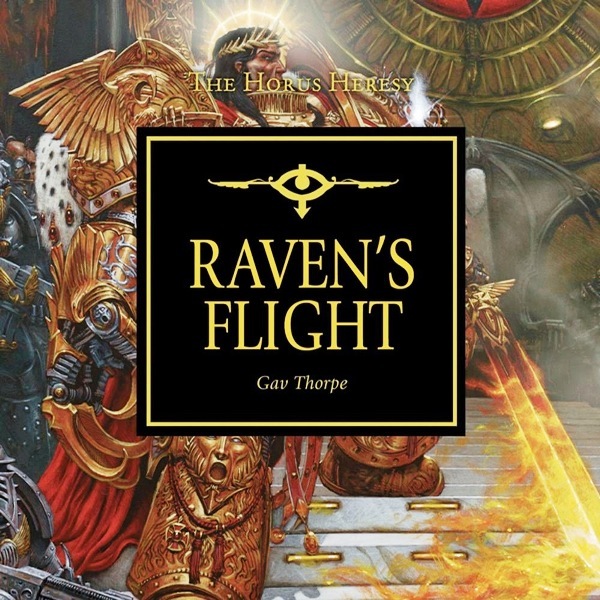 His most popular works include The Sundering trilogy, the Path of the Eldar, works from the Horus Heresy series including Deliverance Lost, Angels of Caliban, the audio dramas Raven’s Flight and Honour to the Dead, and the New York times best-selling novella The Lion. He left Games Workshop in 2007, to concentrate on being a full-time writer. He has produced numerous novels and stories for Black Library. He is published by Angry Robot books where you can find his epic swords-and-sandals fantasy saga gathered in the omnibus collection entitled Empire of the Blood. On the other hand, he wrote the script and voice-overs for the Mark of Chaos computer game, and contributed to a number of non-fiction titles including Hobby Games. Furthermore, he has designed, co-developed and consulted on a number of titles both for tabletop play and in the world of video games. He also delivers workshops at writing events such as the Derby Literature Festival, and regularly appears on panels at conventions such as FantasyCon and EdgeLit. Gav is one the most important shapers of the Warhammer Universe. Favorite wargame and army: I don’t do favourites, and I’ve played way too many to list here. Currently collecting Khorne Bloodbound for Age of Sigmar and revisiting my 40K Craftworlds army. Looking forward to the return of Adeptus Titanicus. Favorite role-playing game: The Call of Cthulhu-like Victorian horror campaign I played with my friends a few years back. Have picked up The Spire recently and hope to play that. Favorite boardgame: Nope, too many to pick one. Blood Bowl and Space Hulk are eternally playable. I like the Tiny Epic series. Scythe is a masterclass of design, both game and production. Juegos y Dados – Welcome Gav, first of all, thank you so much for your collaboration. It is an enormous pleasure that you are here with us. Gav – Thanks for inviting me. Gav – The first thing I played was a game I made up with a friend, using Airfix soldiers on his bedroom floor. I played some WWII games using Donald Featherstone books from the library a couple of years later, about the same time my older cousin introduced me to Warhammer. Juegos y Dados – I read that you designed your first wargame aged eight, but what was the first professional wargame that you designed? Gav – That’s a tricky one because I joined Games Workshop as part of the Games Development team. My first work was on the relaunched Citadel Journal. My first White Dwarf article was for the Squat Cyclops in Epic. My first game supplement was the Pit Fighter for Warhammer Quest. My first Codex / Army book was Sisters of Battle and my first miniatures ruleset as lead designer was Inquisitor. Gav – Inquisitor. Though I’m very pleased with my contributions to Battlefleet Gothic, as well as the new Strontium Dog game from Warlord Games. Juegos y Dados – How does a designer know when a system is completely finished? Gav – There’s a quote – good design is when you can’t take anything more away. Now, in the world of wargames in particular, some players appreciate a bit of ‘grit’ in a system rather than something too abstract and streamlined. It’s always possible to keep tinkering but really something is finished when it does the job you set out to do, and not to keep changing what that job is meant to be. Very often a good game design gets dragged in all directions by later expansions driven by the need to create sales releases or service the audience. Bearing this in mind, the core game should have systems that can be expanded easily without breaking the main mechanics, and sometimes it’s worth taking out a exception within the main rules and saving it for a special purpose later – why let everyone break the rules that way when you can turn it into an upgrade or ability? Gav – At 19 I showed some rules I’d written to designer Jervis Johnson. He asked me to send them to the Design Studio, which I did, along with a cover letter asking if they had any jobs going! They were hiring Assistant Games Developers and I was asked to go for an interview with Rick Priestley, and that must have been good enough because I got one of the positions. Gav – Initially part of the AGD job was playtesting and making mockups of the games. I spent a big chunk of 3 months playtesting Warhammer Quest, for instance, as well as the codes coming out for 2nd edition 40K and the army books for 4th edition Warhammer. Along the way I spent a couple of years on White Dwarf creating support articles and extra rules for games systems like Epic, Necromunda – what later were called specialist games. On returning to Games Dev I started work on Codex Sisters of Battle and then 3rd edition 40K. There’s a complete list of my works on my website. Gav – It’s cool! Obviously working at GW is very much the case of standing on the shoulders of giants, but luckily some of those ‘giants’ were still around to learn from. It was a privilege to work on those games, and I look at the resources available to the development teams now and I’m a bit jealous – all those amazing plastic models! But having the support of an entire Design Studio does spoil you in some ways, it’s very different from the bulk of games design work the scale of the majority of the games industry is a lot smaller. Gav – Yes, Citadel began making some fantasy toy soldiers as well as historical models. 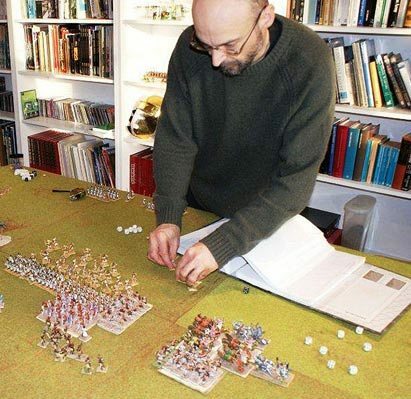 Bryan Ansell had the idea that you could sell more models if people collected them for an army and so along with Rick Priestley and Richard Halliwell he created Warhammer. It was such a success that Citadel ended up being the major part of the business, buying out the Games Workshop part owned by Ian Livingstone and Steve Jackson. There’s a book about the early days of GW being funded at the moment, called The Dice Men. Gav – Within GW I worked alongside Rick, Jervis, Andy Chambers, Nigel Stillman, Andy Jones. I met others such as Richard Halliwell. Going to events across the world meant I was also lucky enough to meet people such as (American) Steve Jackson and Reiner Knizia. Juegos y Dados – I still have my 6th edition dwarf army book, a book I love for things like your dwarf army tactic article. I learned a lot from this article! Do you miss writing articles of this style or do you prefer to write fantasy novels? Gav – I think to write that sort of article you need to be up to your neck in that particular game. I was never the best player in practice, but being so involved with Warhammer and 40K meant I was very familiar with the principles and strategy theory. I don’t think there’s a game I’m currently playing that I know well enough to write that sort of thing. Games and fiction have a lot of overlap but they are very different in other ways. Being able to work in both media allows me to do lots of different things, which means it always stays challenging and interesting. 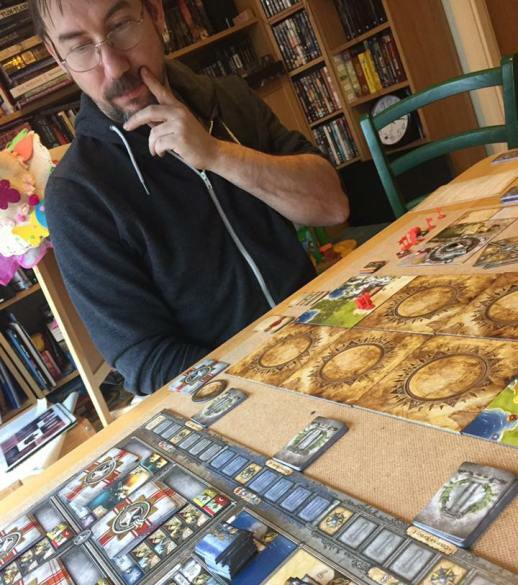 Juegos y Dados – What kind of books do you write in Black Library? Gav – Everything! I’ve written about Warhammer, Age of Sigmar, Warhamemr 40,000 and Horus Heresy; short stories, novellas, novels and audios. I’ve even written a Blood Bowl short story, though I missed out on a Necromunda tale because I was too busy at the time. Juegos y Dados – What is your novel that you are most proud of? Gav – It was Shadow King, from my Time of Legends series The Sundering. Then it was a dwarfs-themed Time of Legends novel called The Doom of Dragonback. Now I think they’ve been replaced by a recent 40K book – Jain Zar: Storm of Silence. They all have characters that I loved writing, and I think get under the skin of those people as well as exploring the settings in a different way. 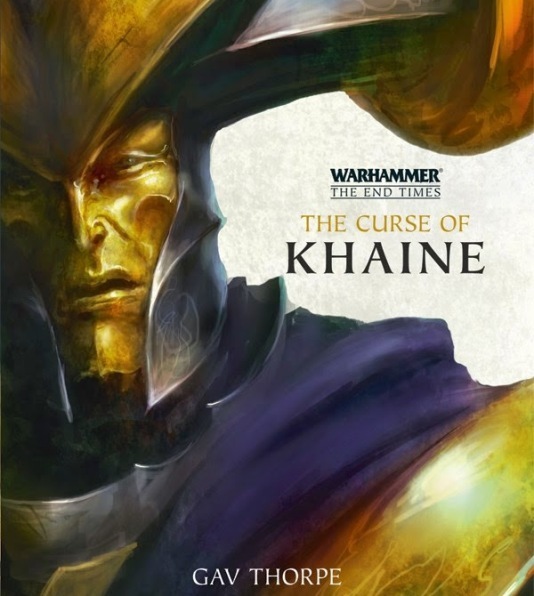 Juegos y Dados – I just read The Curse of Khaine, from the saga of The End Times, a saga very sad because of the deaths of some characters, although I am enjoying a lot. Do you think that the universe of Warhammer Fantasy could have coexisted with that of Age of Sigmar? Gav – Not as a commercial entity. If Warhammer hadn’t been taken out of the picture entirely, Age of Sigmar would have died very shortly after launch. I think there’s scope perhaps to go back to the World that Was now that AoS has established itself – certainly Black Library and GW Licensing have no problems offering up the Old World for us. I have been a fan of and worked with Warhammer for three decades so I was very sad to see it go – I really wished I’d written at least one more traditional Dwarfs novel! But having been Warhammer Loremaster and seen how hard it is trying to make Warhammer a unique property when it is based on so much common history, myth and fantasy fiction, the brutal but clean break was inevitable. Juegos y Dados – My heart is dwarf but, between my many armies, I play high elves or wood elves also, and there is something that has been achieved by reading The Curse of Khaine, with your words I can think and feel like Malekith does and, in some way, understand him. It is a masterpiece. Did you think about achieving that goal? Gav – One of the reasons I really wanted to write The Curse of Khaine was a way to revisit the classic Elves background that formed the basis of the Sundering. It deliberately calls back to those events – actual scenes from the Sundering are reused – as the seven thousand year-old Malekith considers not only the long journey he is on, but he cyclic nature of myth and elven existence. As the introduction to The Curse of Khaine, the events of the End Times and the victory of Chaos was not started in the last few years but in the very earliest centuries of the world after the collapse of the Old Ones civilization. 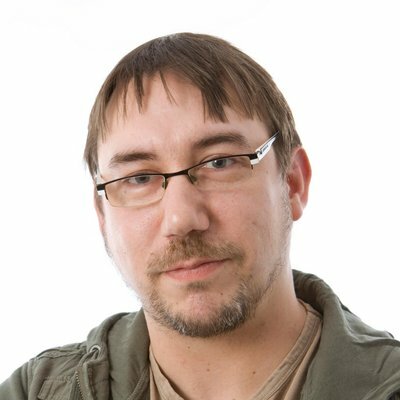 Gav – I don’t think there will be anything new commissioned for the time being, and BL are re-releasing classic Warhammer titles and stories. I think the Time of Legends idea could still have some worth in the context of the Age of Sigmar, but it’s a very busy release schedule already. Gav – Absolutely. I’m a massive fan of the Total War series and the marriage with Warhammer is a natural one. It’s something fans of both have been crying out to see for a couple of decades! Juegos y Dados – The hype these weeks with the new Kill Team is being impressive. What can you tell us to quench our thirst for this new? Will there be new factions? Gav – I don’t know anything about it, in all honesty. My sources in the design studio are rather tight-lipped these days and my hobby attention is being saved up for Adeptus Titanicus! But by the time this gets published it’ll be out, so everyone’s questions will be answered. Juegos y Dados – Will there be new factions in Warhammer 40.000? Gav – It’s one of the interesting dilemmas at the moment. AoS is very exciting because we’re seeing new stuff like Kharadon Overloads, daughters of Khaine, Idoneth Deepkin. 40K is in a stage of settling the existing factions in the new rules, but I would be surprised if there wasn’t something coming out of the blue in the next couple of years. Juegos y Dados – Speaking of Age of Sigmar, I suppose there is still much to be done in this new stage of its second edition. Will there be new factions? Gav – It’s thriving in some ways and still the same in others. There’s a spectrum of games and companies, from the traditional one-person team going to wargames shows to sell their range, to the likes of GW and Warlord Games, and everything in between. The biggest change is the emergence of miniatures games that I don’t think of as wargames necessarily – high quality game pieces being sold and collected as miniatures but for board games rather than an open tabletop wargame. The lines between them have blurred considerably. Kickstarter and modern digital production have levelled the plasying field in some respects, though we are starting to see large, cash-rich companies dominating the crowd-funding, which isn’t something I’m too keen on. What ire ally hope is that a lote of the small games and companies, like Paranoid Miniatures, Roots of Magic and so on can survive the ‘butterfly gamer’ effect of being popular for a few months and then forgotten. There’s so much choice out there now, it’s great to get a game out, but continuing to have an audience and a business a year later is a very different proposition. And I’m very interested to see how Augmented Reality and app-driven tabletop games continue to grow. There have been a few games starting to test the market, and as younger players join the gaming scene I see more a more crossover between digital and physical games. Gav – I have organized a game a month of AoS with my friend Martin, and I have two other regular gaming buddies, Chris and Dave, who I’ve played at 40K, Gaslands, a bit of Rumblsam and Shadow Wars: Armageddon. I’d love to play more but I have a busy schedule and a 4-year old son that take up a lot of time! Juegos y Dados –I would like knowing funny moments in battles. Gav – Lately I have been enjoying my Khorne Wrathmongers in AoS. If an enemy model kills one, the enemy has to attack themselves as they are overcome by the frenzy-inducing effects. In the last two games Martin’s monstrous Terrorgheist has ripped itself apart after killing one of these maniacs! In a Rumbleslam game recently with Chris it came down to a little goblin and a huge bronze dwarf golem trying to throw each other over the top rope – and by some streak of luck and cunning the goblin won! I can imagine the crowd went wild over that one. Gav – I’d like to say thank for their continued support, both for reading my stories and playing the games. The best way to find out what I’ve been up to is to sign up for my monthly newsletter. Gav – Cheers! Happy Gaming! I love his writing, his works about Eldar are definitely some of my favorite books. The Phoenix Lords books are superb. Hello Lugren! I completely agree with you, Gav is one of the best writers of the GW world. Thanks for your visit.